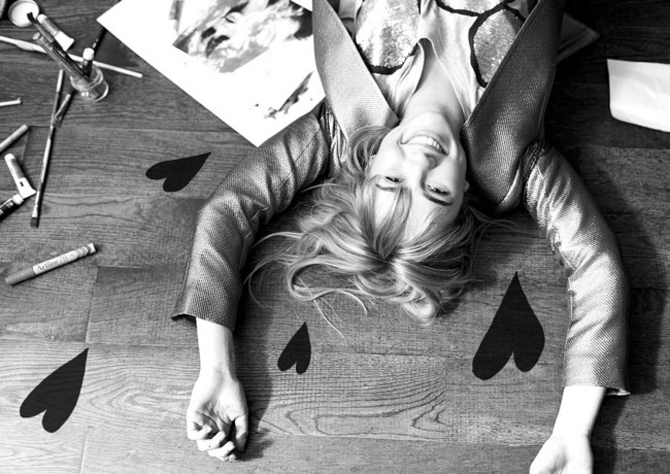 Check out the snaps from the shoot Suki Waterhouse styled herself. British model Suki Waterhouse took time out from filming the rom-com, Love Rosie, to style and star in the latest Sass & Bide S/S ’13 digital campaign. Suki was reportedly stoked to display her own personality during the shoot. This creative choice of personality for the sass & bide campaign follows the fun collaboration with Coco Rocha (The Take Over), brilliantly matching the labels adventurous collections with a high profile creative talent to really bring the shoot to life. Heidi Middleton, Creative Director of Sass & Bide continued, “we wanted Suki’s creativity to shine. In the behind-the-scenes images we’ve provided an insight into who Suki is as an artist, a photographer, a model. That was interesting to us”.